DAVE LOEW is a renowned cellist offering teaching in Australia at all levels. He specialises in one to one as well as ensembles for master classes. He holds a special interest in nurturing our upcoming artists. Dave Loew can also offer a wide and distinctly varied experience in styles as he has recorded for major classical, pop and opera artists as well as for Hollywood films and West End musicals. As he has worked with numerous icons he can offer a colourful seminar of his work and encounters across forty years in the music world. Dave studied post Graduate at the Sydney Conservatorium in the 1970's with John Painter before embarking on a twenty year study relationship with the internationally acclaimed cellist professor Christopher Bunting CBE in London. His early student days were privileged because of the opportunity to play in the acclaimed National Music camps in Adelaide and Mittagong with John Hopkins as well as playing principal cello in the Australian Youth Orchestra. 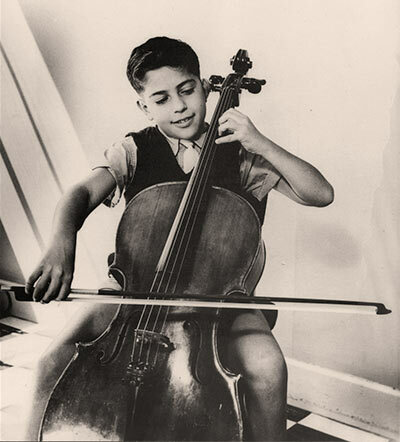 He played in many ABC Young Australia radio broadcasts and recitals before joining the Melbourne Symphony in 1973. Dave at 11 in Nairobi with his first cello! He was appointed principal cellist for the Australian Ballet in Melbourne then later moved to London where he worked with nearly all the major orchestras (1980/90's) including the London Symphony Orchestra, London Philharmonic Orchestra, English Chamber Orchestra and the BBC Symphony as well as giving recitals in many venues. Dave Loew has also released five highly acclaimed solo albums on major labels, his first 'Debut' album is now in its 28th year. His other albums are the 3-album Art Series, Romance of the Cello, Classical Cello, At The Movies, The Beatles and Friends all on the FanFare Label. © Dave Loew 2012-2019. All Rights Reserved.